This entry was posted in Antisemitism, Appeasement, Deception, Department of State, Diplomacy, Dishonor, Foreign policy, IAEA, Ideology, Iran - side deals, Iran nuke inspections, Iran sanctions relief, Iran scam, Iranian military sites, Iranian missiles, Iranian nukes, Iranian support for terrorism, Iranian terror proxies, Islamic supremacy, Islamists, Israel, Kerry, Khamenei, Moniz, North Korea and Iran, North Korea's nukes, North Korean missiles, Obama, Obama's America, Obama's legacy, P5+1, Sanctions and tagged Antisemitism, Appeasement, Deception, Department of State, Diplomacy, Dishonor, Foreign policy, IAEA, Ideology, Iran - side deals, Iran nuke inspections, Iran sanctions relief, Iran Scam, Iranian military sites, Iranian missiles, Iranian nukes, Iranian support for terrorism, Iranian terror proxies, Islamic supremacy, Islamists, Israel, Kerry, Khamenei, Moniz, North Korea and Iran, North Korea's missiles, North Korea's nukes, obama, Obama's America, Obama's legacy, P5+1, Sanctions. Bookmark the permalink. 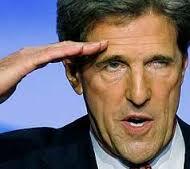 In this Obama/Kerry clown show no matter which way it goes America loses. Dan, Caroline Glick’s satire says it all. Stopping Persia (THEY can delude themselves that they are of the Aryan race – would-be Nazis that they are – THEY’RE PERSIANS AND THE ONLY USEFUL THINGS THEY MAKE ARE RUGS AND PILAF!) – will be ISRAEL’S responsibility. All you rely on Americans to do is to go broke, and to overspend on everything. I’m DAMNED glad I left that accursed country – and I’m glad you did too! Hi, Ruvy. I’m pleased to see that your views haven’t moderated over the past few years. As one of the accursed taxpayers of the accursed country you so despise, I’d be willing to stop donating so much of our money and materiel to Israel each year if you think that would be in Israel’s best interests. Assuming, of course, that you speak for Israel.